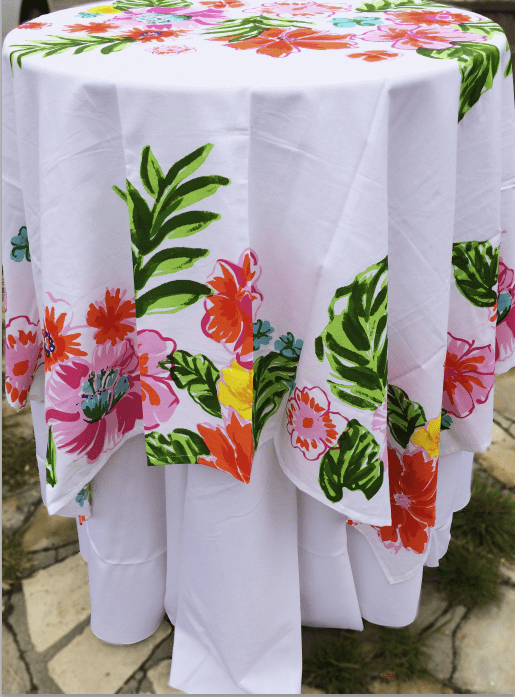 Tropical Flowers Print table overlays and runners available for rental in 70″ Square Overlay or 10ft Table Runner sizes. 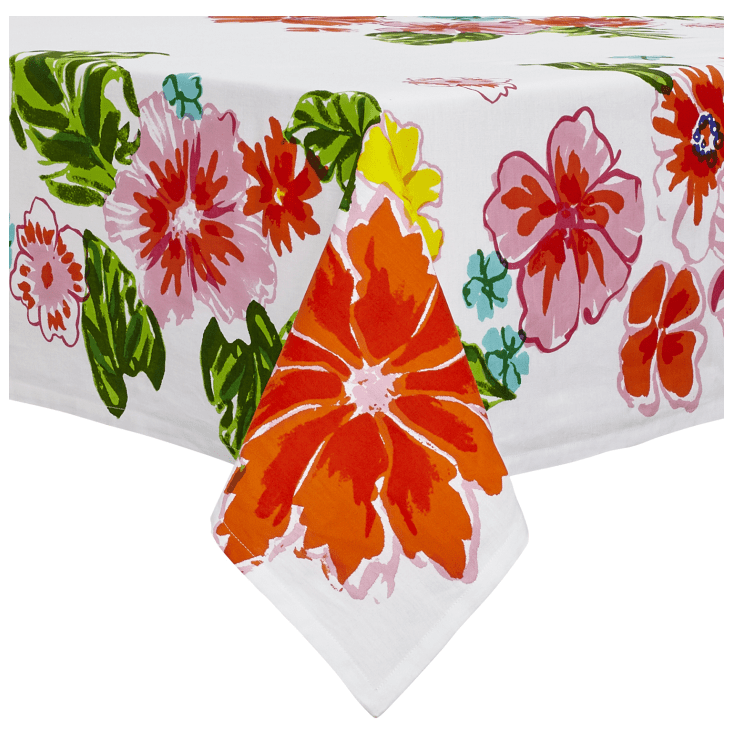 The Fabric is pure cotton with a flexible and soft feel. 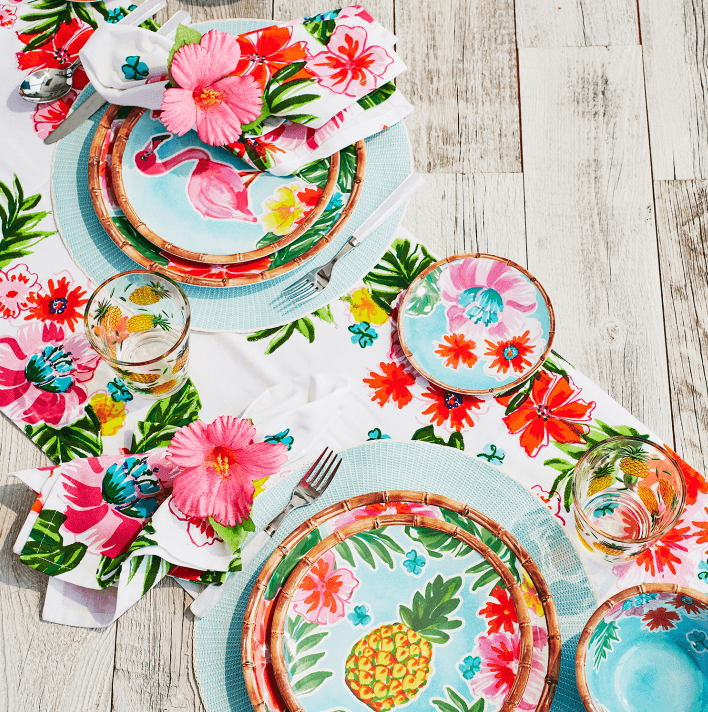 These colorful tropical table runners and overlays add a pop of color to your tropical themed party or event. The price ranges from $6.99 to $16.99 depending on the size. Complete your polished Polynesian look or island themed party with our tropical decor event rentals such as: pineapple drink dispensers, tiki torches, and tiki umbrellas or colorful umbrellas. *Actual color of overlays and runners may vary due to graphic.